I met Rui En once. Although the actress didn’t knock over my parked motorcycle with her black BMW, it felt like she did. That was how unpleasant the experience was. She’s not reputed for being the “ice queen” of Caldecott Hill for nothing. And it’s not because she likes to dress up like Elsa from Frozen. Or that she likes ice kachang. Or crystal meth. Actually, I don’t know her well enough to know whether she likes any of those things since, you know, I’ve met her only once. This was years ago, when I was developing a new TV series for Channel 5 at Mediacorp and auditioning actresses for the lead role. Rui En showed up. I gave her the audition script and some direction. Then she just walked out. That was the moment when I felt like my parked motorcycle was knocked over by her black BMW. 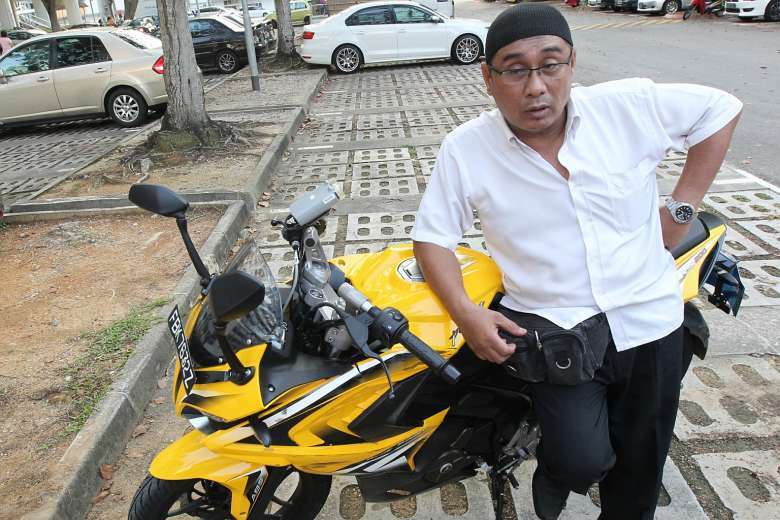 At least Mr Bahrom Sarmiten, the owner of said motorcycle, said she offered him $2,000 to compensate for the damage. Rui En didn’t offer me any cash at all for the aborted audition — or even an explanation. I never found out why she bolted. I have auditioned many actors and actresses in my time, but this had never happened before or since. I wasn’t angry with her — just stunned and confused. Was it something I said? Or the way I said it? Maybe she thought I didn’t know who she was. So I could relate to Mr Bahrom. 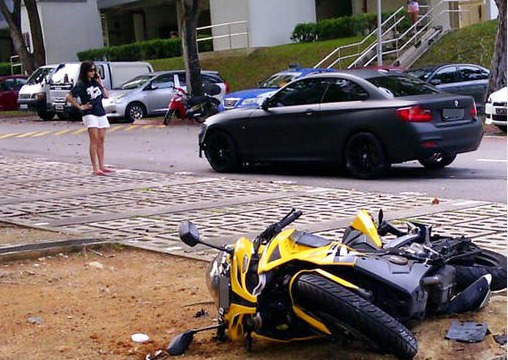 After Rui En hit his bike, she started to drive away and Mr Bahrom ran after her. The car stopped after a few metres and he banged on the car window. Like me, Mr Bahrom probably doesn’t watch much Channel 8, where Rui En is an award-winning star. 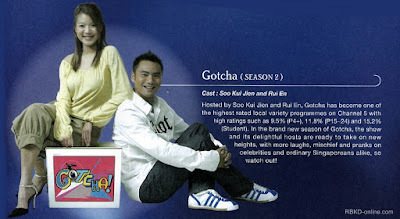 Hard to imagine now but the “ice queen” of Caldecott Hill also used to co-host Gotcha!, the Candid Camera rip-off on Channel 5, long after original host Moe Alkaff left. It’s conceivable that Mr Bahrom might have seen these Channel 5 shows, but they were on a very long time ago. So it’s quite understandable that he didn’t know who Rui En was. But is it possible that when she asked him whether he knew who she was, she didn’t mean “Do you know what a big star I am? Don’t you watch TV?”? She also said that when Mr Bahrom stopped her from driving off, her intention was to “move my car to a traffic-free spot before addressing the matter”. Despite suffering frostbite from my briefer-than-expected encounter with Rui En during the non-audition, I believe her. You see, I was once also accused of hitting a parked motorbike and running away. So I could relate to Rui En too. What happened to me was, after parking my car in the open-air HDB car park, I ran to my block because it was starting to rain. Minutes after reaching home, there was a loud banging on my door. I opened the door to see what I would describe as a small lynch mob out for blood — mine. It was one of the scariest moments of my life and I’ve watched The Conjuring 2 trailer. A neighbour had seen me reversing my car into a parked motorcycle which toppled onto another bike. One of the bikes belonged to her relative. She then saw me running off, which in her mind was proof of my guilt even though I just trying to avoid getting wet. I wasn’t aware that I had hit anything, a claim which the lynch mob justifiably found hard to believe. I wanted to point out that if I had really wanted to run away, wouldn’t I have just driven off instead of leaving my car and literally running home on foot? But I suspect such nuanced logic would be lost on a lynch mob. To appease them, I let them show me the toppled bikes and I promised to compensate the owners. I didn’t have to tell them “I live upstairs and won’t run” because as the lynch mob had frighteningly demonstrated, they did know where I lived and I couldn’t run. 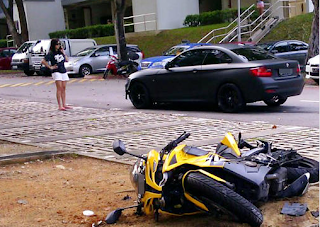 In the end, I paid the owners of the bikes a couple of hundred bucks for the damage, which was less than the $700 that Rui En was fined on Friday for careless driving. I guess I should count myself lucky I wasn’t charged for careless driving too. I’m just grateful I wasn’t lynched. But just as the mob let me live, I forgive Rui En for her non-audition. 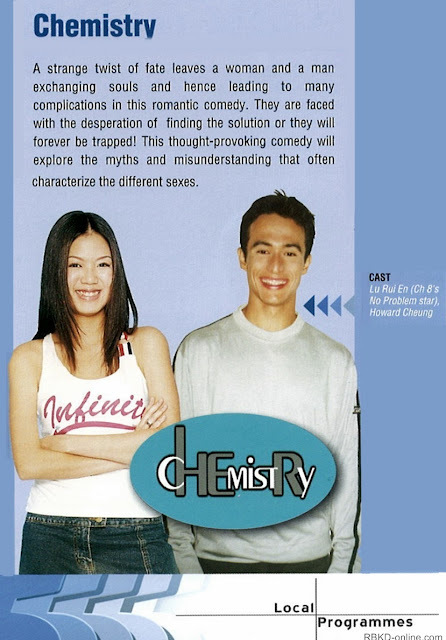 I eventually cast Michelle Chong in the role. She tried to run. Only when Mr Bahrom ran after her and knocked on the window of her BMW, did she stop her vehicle. She then exclaimed, "Do you know who I am?" The question stops there. It is so obvious that she had intended to tell Mr Bahrom who she was not that she lived upstairs and won't run! A sentence does not begin in that manner when you are going to say that you live upstairs............etc! She was arrogant and not forth coming with her apology. As it was mentioned that the open space car park was not filled with cars or on coming traffic, so when she mentioned that she wanted to move her car to a traffic free spot is a load of rubbish. Media Corp Stars, a minority of them are living in a Dream World owing to their alevated status and wealth. Humble Themselves!